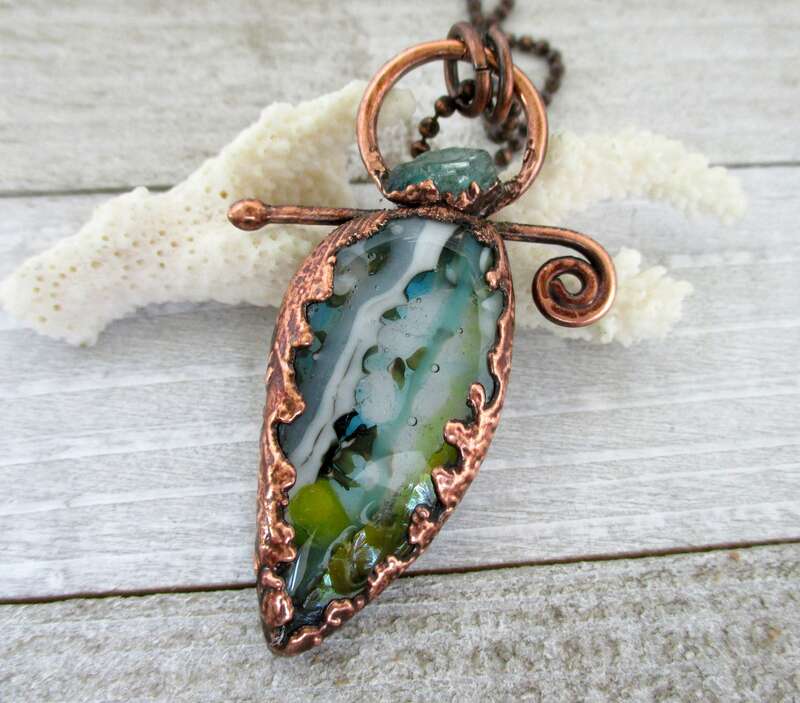 Copper waves surround this handmade fused art glass cabochon from Robin Houck, and it is topped with a lovely rough cut light green apatite nugget. An organic framework surrounds this large pendant. You can choose a copper ball chain or copper cable chain - in the length of your choice - see the 8th picture for the two chains.